The Institute of Computer Science (ICS) is one of the six institutes of the Foundation for Research and Technology – Hellas (FORTH), a major national research centre partly funded by the General Secretariat for Research and Technology of the Hellenic Ministry of Education and Religious Affairs. 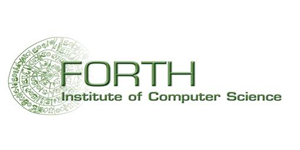 The mission of FORTH-ICS is to perform high quality basic and applied research, to promote education and training, and to contribute to the development of the Information Society, at a regional, national, and European level. Since its establishment in 1983, FORTH-ICS has had a long history and recognized tradition in conducting basic and applied research, and playing a leading role, in Greece and internationally, in the field of Information and Communication Technologies.